The Ports of Auckland is currently being held to ransom by it’s workings looking for better pay and conditions. We can never know exactly what the ‘behind the scenes’ conditions are like but let me lay these details on you and you can make your own mind up. 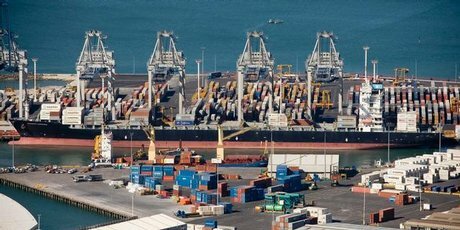 Ports of Auckland has lost $27 million per annum of trade from this strike, that means Auckland City has lost income and the economy of Auckland will be worse off for it. The Maritime Union of New Zealand workers have been in negotiations for better pay and conditions since August 2011. What I want to know is what do they currently get, what have they been offered and what do they want? According to a Damien Grant article in the NZ Herald on Sunday Port workers currently earn $91,000 per annum and seem to work just 26 hours a week. If this is accurate then that’s an hourly rate of $67.31 per hour…not bad. Without sounding too right wing and judgemental, these workers are typically unqualified and lowly educated. Some of them will have qualifications in areas such as operating special machinery or vehicles, but on the scale of a teacher, nurse or doctor there isn’t too many that would get turned away from this job…if there were any vacancies. What they are being offered is as follows. A 10% rise on hourly rates. Performance bonuses of up to 20% on hourly rates. Retention of existing entitlements and benefits. And a new roster system that will provide increased operational flexibility while allowing workers to plan their rosters a month in advance. So that’s a salary of more like $100,000, a bonus scheme which could take the total to more like $120,000, no losses of current entitlements and benefits and more flexibility to plan their work/life balance. Seems a pretty good deal to me. I don’t have a problem with people striking, I also don’t have an issue with Unions and how they represent their members. My big issue with this from the Union side of things is that they now have a strangle hold on the Ports of Auckland, they know this strike has cost the Port $27 million so far (let alone what they are losing on a daily basis) and if they keep their foot on the throat the Ports will fold to their every demand. That doesn’t seem like negotiation to me, it seems like thuggery and bully-boy behaviour. How many Kiwi’s would like the chance to earn upwards of $120,000 per annum, in a little or no skilled job. What happens next when the Ports of Auckland lose more business and then need to lay people off due to their workload dropping…what will the Union do for those members then? The remaining question is this. Is the Maritime Union currently doing what is best for their members? If they are then I guess they should continue this action, if they are not they are ultimately going to hurt the people who employ them to speak on their behalf. Next Article General Debate: Free money – what would you do? Oh , to earn $91,000 ! I am a teacher and earning $70,000 is the top of the pay scale . Yes , as teachers should be accountable I think the same should apply across the board . As I dont work in the Port of Auckland I’m not sure how this work , however a 10 % increase is huge when teachers gained a 3.7 % over a two year period . I do acknowledge wages v Salaries is hard to compare however anything these days will come with tags . Not all unions have a strike policy , NZEI certainly doesn’t . In fact as a local / regional union leader I argued against striking , as they dont work . Just plaim greed if the rate of their pay is correct.Ultimately the Auckland ratepayers will be asked to fork out for the loss,Fonterra has already voted with their feet!who is next?Will the last port workers turn the lights off and join the queues at winz when Port of Auckland folds or perhaps sold. Hope all will come to their senses and negotiate a more reasonable agreement . This article challenges that $91 000 figure and despite Matts left leanings still gives balance to this discussion. Interesting “slant” eh? Makes a lot more sense than that employers take on it.